The Japanese are famous in preserving and expanding their traditions well. Even to this day when one thinks about fine lacquering artefacts we think of Japan. 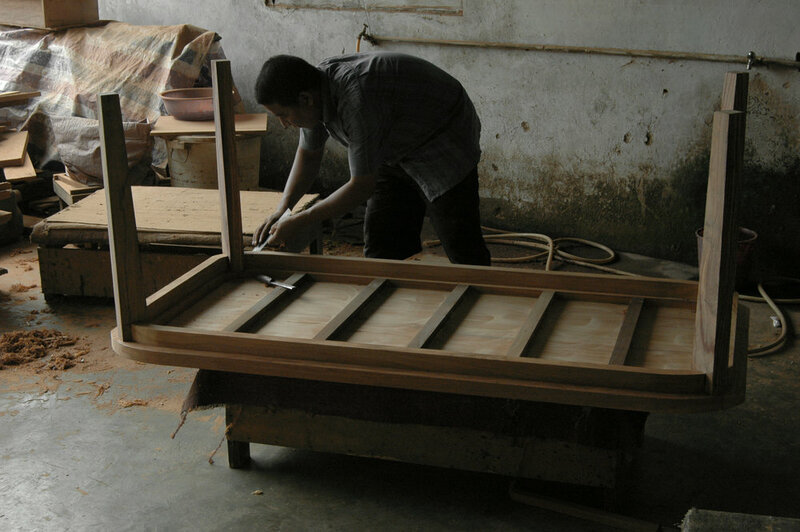 However, it is another story when the combination is lacquer and furniture. Possibly due to their manner of household living, or the lack of tropical hardwood, Japan never developed a culture of finely lacquered hardwood furniture. But with their deep appreciation of lacquer, that they call うるし (urushi), they can truly relate to our furniture culturally and emotionally. Perhaps in a small way we are extending this legacy of our culture and art. This client in Tokyo loves how our lacquered hardwood furniture conveys a unique art deco geometric mood. We therefore created a fixed length long table for them, using our standard extendable table as a basis. An upholstered side chair form has also morphed into the set of four dining armchairs. These crafting photos show well the value of our furniture. 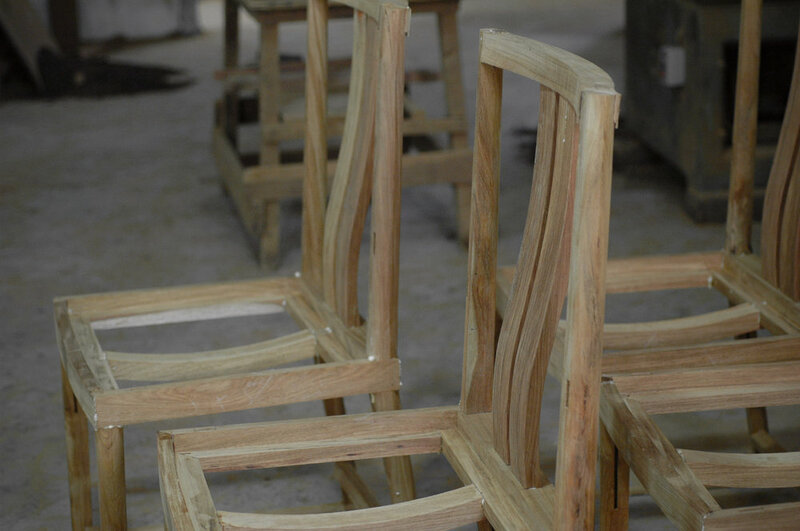 Observe how the different components of the dining armchairs are designed and crafted. 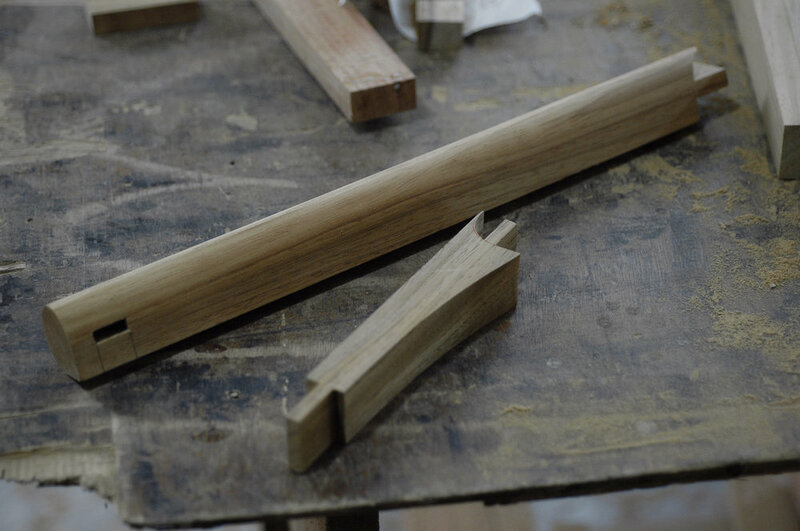 The best of breed joineries are each hand made and fine tuned individually before assembly. Coupled with the bespoke designs we created for the client, this is true uniqueness, unlike any other.